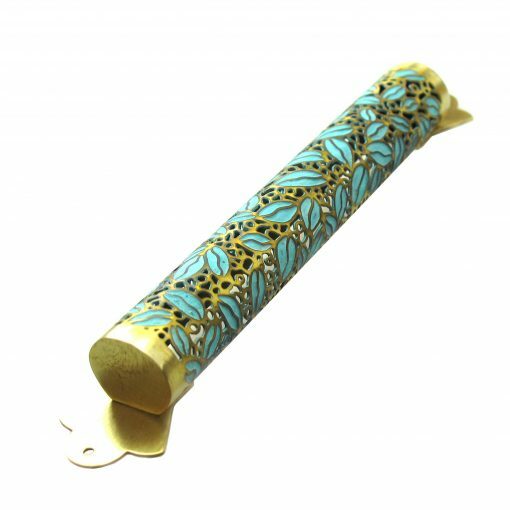 This Delicate Leaves Pattern Mezuzah with Patina – Medium is intricately designed and made in Israel by artist Orit. 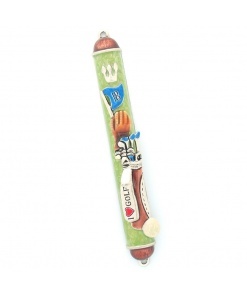 Her artwork displays the rich interplay of the shapes and colors that nature offers us. 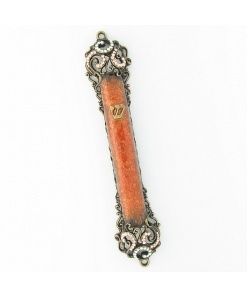 Her lace-like, see-through designs invite a glimpse into an inner world, reflecting the delicate balance between a fragile appearance and lasting nature. 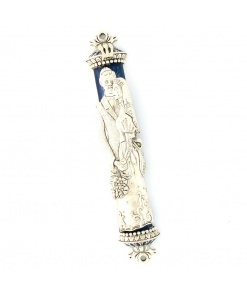 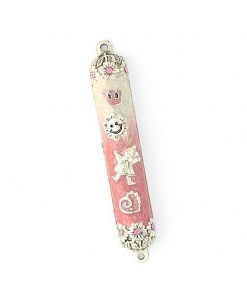 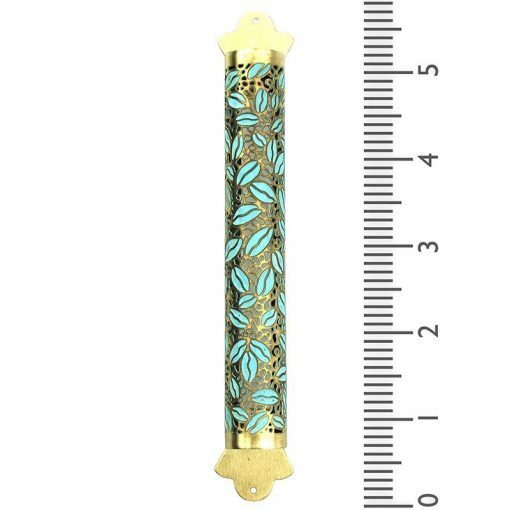 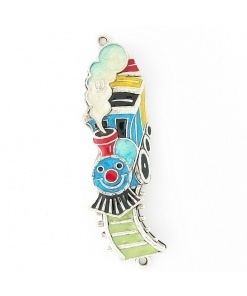 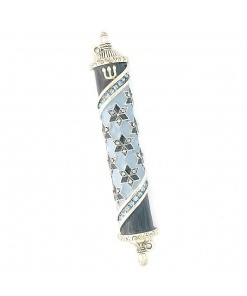 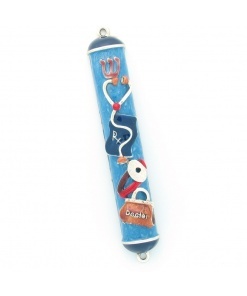 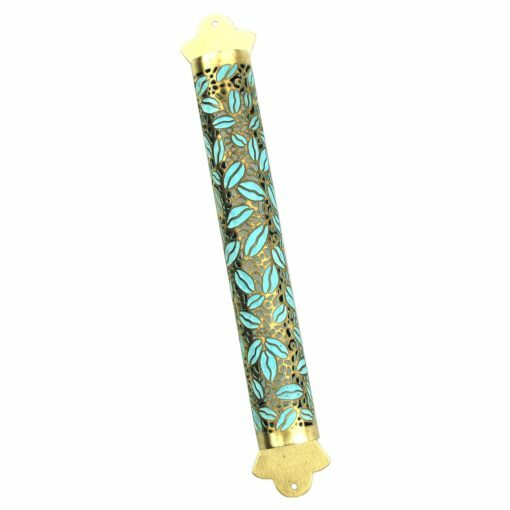 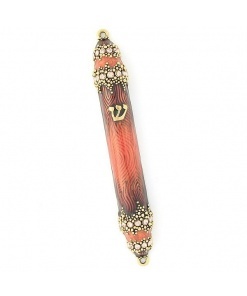 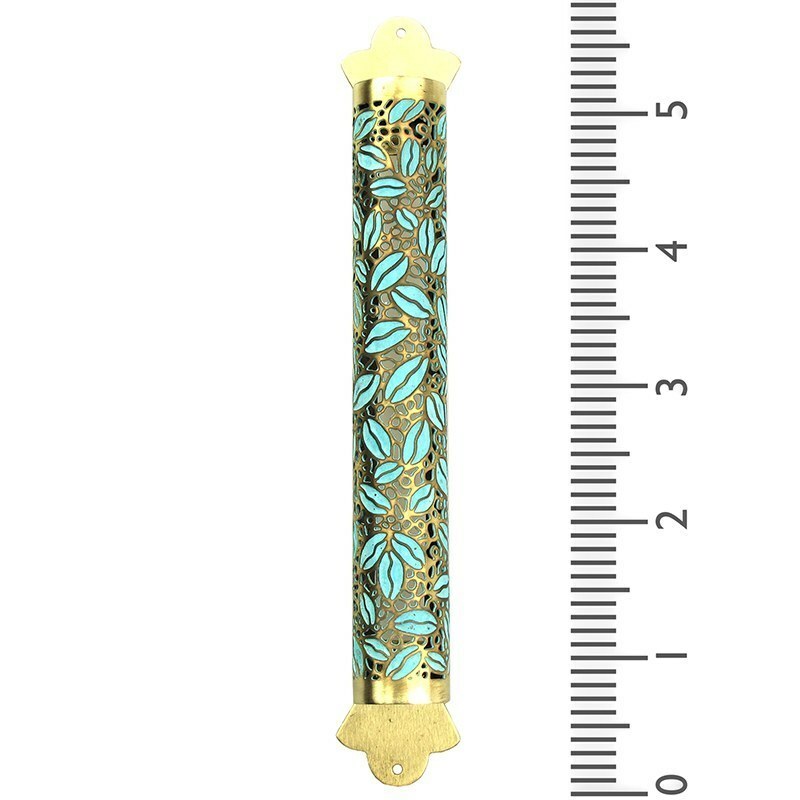 This Mezuzah case is made from hand colored metals. 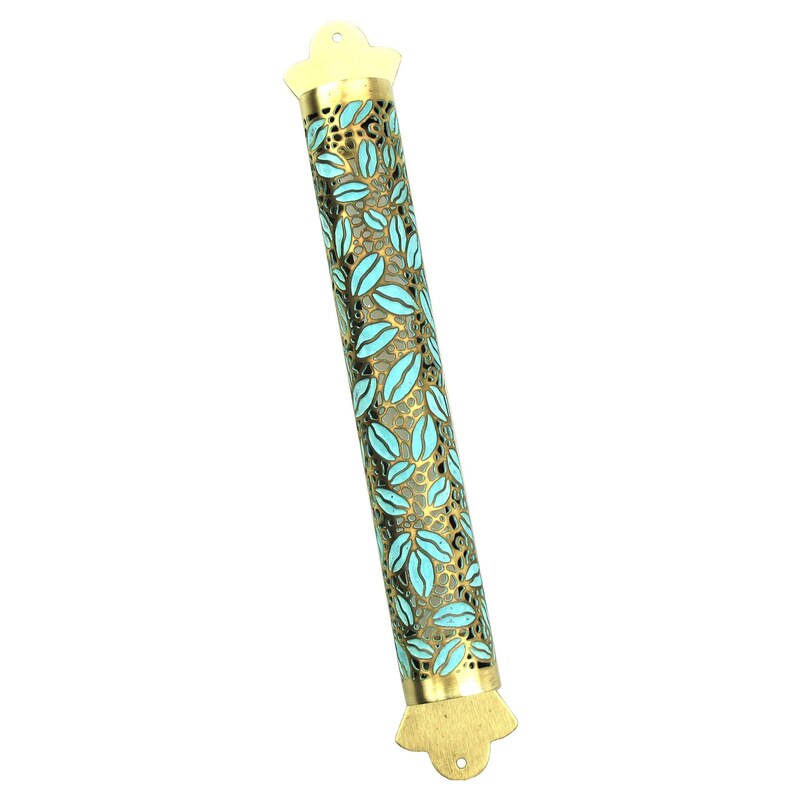 They will create an elegant and tasteful look on your doorpost and add style to your home.